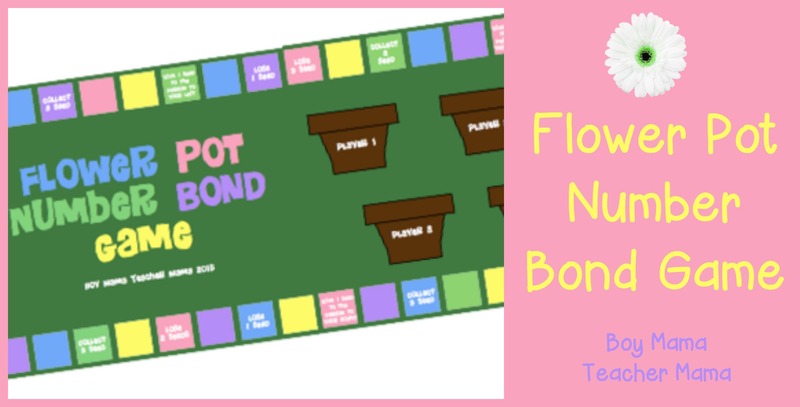 I really feel like students can never get enough practice with number bonds, so I created this spring flower pot number bond game. 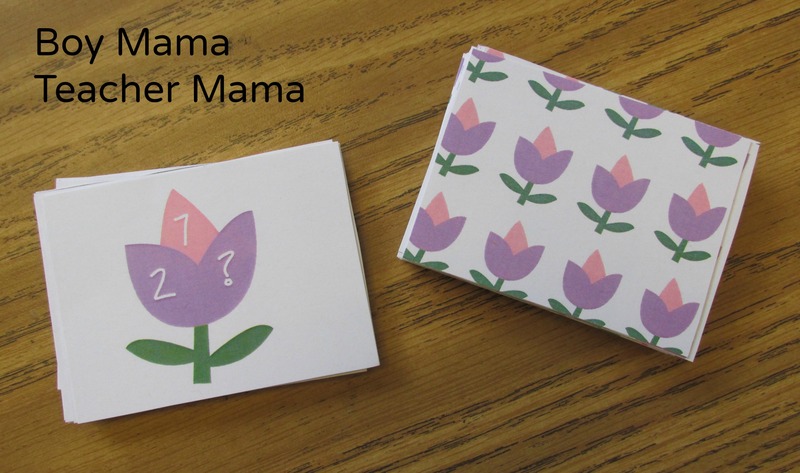 Copy the playing cards with the number bonds on one side and the flowers on the backside. Players determine who is player one, two, three and four then locate their flower pot on the game board. Player one rolls the die and moves that many spaces. S/he then picks a card, completes the number bond and then adds that number of “seeds” to his/her flower pot on the playing board. 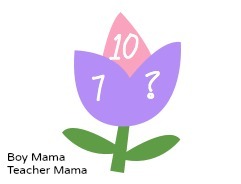 For example, player one picks the following card, completes the number bond with a 1 and then puts 3 “seeds” in his/her flower pot. Player with the most “seeds” at the end may be declared the winner.